Live the magnificent lifestyle you have always dreamed of. Take control of the temperature in your home. Control up to 10 zones. MyAir is our signature air conditioning system that has 10 independently controlled zones or rooms so that you can control the airflow in your home from one central hub. THE TEMPERATURE YOU WANT, WHERE YOU WANT IT & WHEN YOU WANT IT. MyAir5 is the latest version of Advantage Air’s premium air conditioning management system, MyAir. Simply by installing the app on your smart device, home owners can remotely control their reverse cycle air con system from any location, worldwide. What’s more, if you install Advantage Air’s Individual Temperature Control (ITC) sensors, your air conditioning system will be able to adjust the airflow to each room of your home for you, now that’s total comfort. MyAir5 gives you complete flexibility over choosing which air con system is right for you by being compatible with all of the major air conditioning brands. 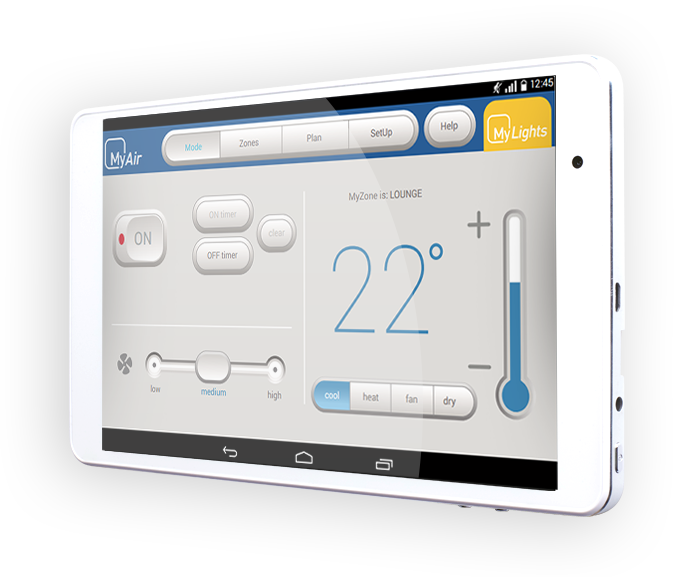 To top of the latest technology in air conditioning, MyAir5 doubles as an Android tablet and the system can be fully integrated with MyLights, our smart home lighting system. As our everyday lives drift further and further online, we have come to expect a superior level of convenience. That is what Advantage Air gives you with MyPlace – the dedicated device for controlling your smart home lighting system and your air conditioning system. 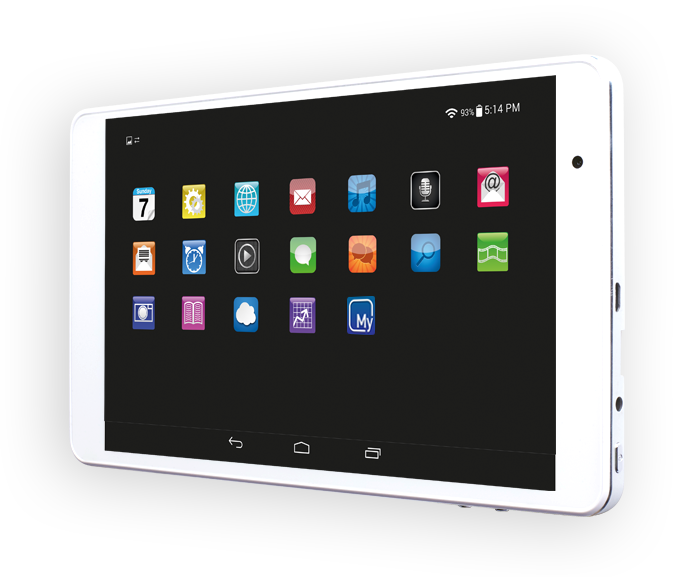 On top of managing MyLights and MyAir, the MyPlace tablet can be used like any other internet connected smart device, all from the one central hub in your home.